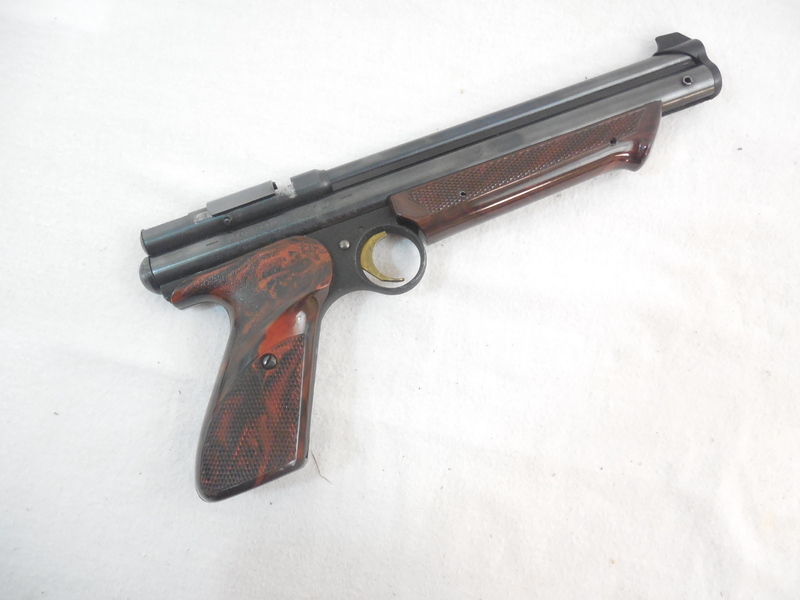 The Crosman 1300 Medalist II is a single shot, self cocking, multi pump air pistol that was the predecessor to the current model 1322. It has a steel breech, sliding breech cover and a flared pump handle. The 1300 Medalist II was made from 1970-76. 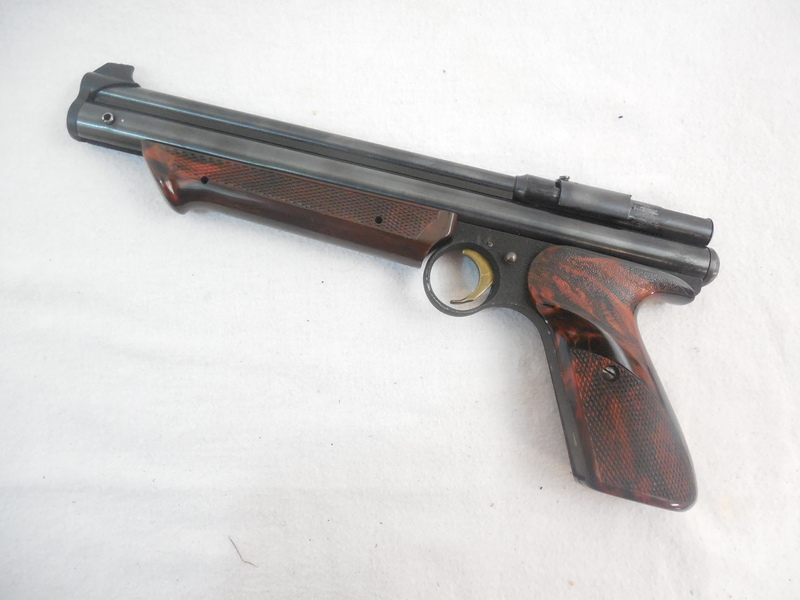 This gun retains 99% of it’s original finish and is beautiful condition. It does not function and will need new seals. Sold as is.